At Canva, our mission is to democratize design and empower creativity and visual expression for every person, on every platform. Since launch in April 2013, our user base has grown exponentially, amassing over 10 million users in over 100 languages, making us one of the world's fastest-growing technology companies. As of today, we've achieved profitability, and the company is valued over $1-billion, which allows us to strategically prepare us for the next phase of growth and development. Software engineering is the core of who we are at Canva. The Canva code base was built to scale from day one. This has allowed for a unique environment where engineers spend most of their time optimizing performance and releasing new features rather than fixing legacy code. With adherence to fundamentals and first principles, the team strives to use the most appropriate tools for the tasks at hand, aiming to strike that carefully measured balance between getting things done and long-term maintainability of the code base and supporting infrastructure. 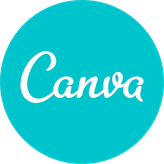 The Canva product suite is capable of producing beautiful images and documents in a variety of file formats and physical mediums. Our Export team is seeking an experienced software engineer with experience with browser rendering - specifically with substantive experience with either Chromium (potentially as a contributor), Blink, Webkit, or Skia library experience. This is an opportunity to be a specialist member of the Canva engineering team and be a subject-matter expert with respect graphical rendering. The Canva workspace is set up for you to do your best work and have a great time doing so, with breakout areas, little nooks, and quiet places to retreat. Want to experience Canva for yourself? Check out what life is like at Canva on Instagram. Check out what our users are saying about us on Twitter. Learn how we work from Dave, our CTO Get to know our Chef, Chris Meet our CEO, Melanie Finally, give Canva a go! If you're seeking professional growth and enjoy working on large, distributed, cloud-based applications that delight our millions of individual and business users alike - then apply now to be considered for the position! If you require visa sponsorship, you must ensure you have at least two (2) years of post-University commercial experience as a Software Engineer and meet the mandatory sponsorship requirements laid out by Department of Home Affairs. We will not accept or review any CVs from external recruitment agencies. Warm & Casual Environment: Breakout areas, Little Nooks, Quiet Places! Want to get notified about new jobs at Canva?